I have previously posted on the decision leading to this successful appeal by the Planning Inspectorate, against an order that they produce their legal advice concerning a planning appeal. The decision of the First-Tier Tribunal in favour of disclosure was reversed by a strong Upper Tribunal, chaired by Carnwath LJ in his last outing before going to the Supreme Court. So the upshot is that PINS can retain whatever advice which led them to refuse this request for a public inquiry in a locally controversial case. Now for a bit of background. The claim for disclosure of documents arose out of a planning application by a wind farm operator to install an 80m tall anemometer (and associated guy wires radiating over about 0.5ha) near Fring in North Norfolk. This was to assess the viability of a wind farm near the site. The local planning authority refused permission for the anemometer, and the wind farmer appealed. There are three ways of deciding such an appeal – a full public inquiry with oral evidence and submissions, an informal hearing or written representations. The locals people wanted a public inquiry. They were supported in that by the council, and the local MP thought that the council was the best body to judge that. PINS said no; no complex issues arose for which a public inquiry was necessary. 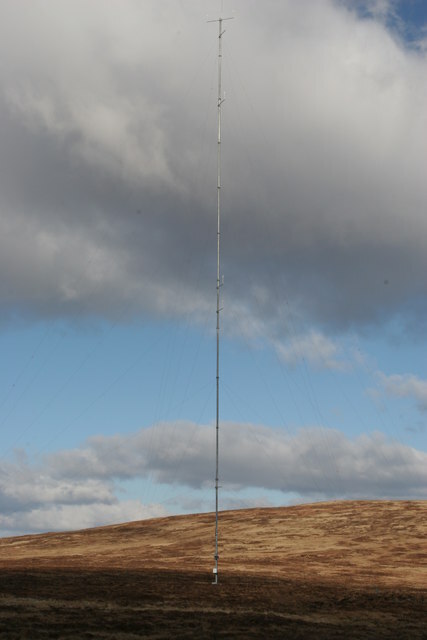 WR, acting for local objectors,disagreed; he said that an anemometer would itself have an impact on local populations of pinkfooted geese, a protected species in nearby coastal areas; hence, any development would need an Environmental Impact Assessment before it could be approved by the planning authority, whether or not the wind turbines proceeded.The issue was not simply about visual amenity, as PINS thought it was. Hence a public inquiry was required. When PINS announced its view, and said that its view was based on legal advice, WR unsurprisingly said – show us your advice. PINS refused, hence this litigation. Lawyers will know that such advice is covered by legal professional privilege. But such privilege does not necessarily prevent it from being disclosed by a public authority. Under the Freedom of Information Act (FOIA) regime, it is a ground for refusing to produce documents, but only when that is in the public interest: s.42. Under the exemptions in reg 12(5)(b) of tlhe Environmental Information Regulations privilege is not even a ground of exemption; the public authority must show a rather different thing, namely that disclosure of the legal advice would adversely affect the course of justice, and in all the circumstances of the case, the public interest in maintaining that exemption outweighs the public interest in disclosure. In addition, there is a presumption in favour of disclosure. WR appealed the Information Commissioner’s decision to refuse disclosure of the appeal. The First Tier Tribunal ordered disclosure. And it is that order which the Upper Tier Tribunal has now reversed. to carve out what amounts to a de facto absolute exemption for legal advice. Nor is it consistent with the presumption in favour of disclosure expressly articulated in Regulation 12(2) EIR. 69. The information being requested was used by PINS as the basis for depriving the Appellant and members of the public of their ability to participate effectively in environmental decision-making. Considering the information itself, even if this exception was fully engaged (and the Tribunal, in the circumstances of this case, concludes on the balance of probabilities that it is not,) then the public interest balancing test could not produce a result which would prevent disclosure. On appeal, the UTT considered that regulation 12(5)(b) enabling disclosure to be refused on privilege grounds was engaged. The advice was given at a time when judicial review had been threatened; disclosure would have had an adverse effect on the course of justice, by weakening general confidence in Legal Professional Privilege. This was said to be a strong factor in favour of maintaining the exemption, though, in the light of the FTT’s remarks abut the advice in question, and indeed the UTT’s words quoted below, this was evidently a point about general public interest, rather than the specifics of the case. The UTT also said that it was unfair to require PINS to reveal its legal advice in circumstances where those seeking to overturn its decision would not have to do so. (i) Would disclosure of the information adversely affect the course of justice? 67. In our judgment the answer to that question is plainly “yes”. The advice was given at a time shortly after proceedings for judicial review had been threatened…. At the time when the information was requested, and when the request was refused, proceedings (either by way of judicial review or, if the planning appeal was successful, by way of statutory appeal) were still very much a possibility. We do not consider that it was probable that there would be some such proceedings, and we therefore do not find that it was probable that there would be some adverse effect on the course of justice in relation to proceedings concerning this planning application. But we do find that at the material time disclosure would have had an adverse effect on the course of justice by reason of the weakening of general confidence in the efficacy of LPP which a direction to disclose advice given in the circumstances of this appeal would cause. There were in our judgment no particularly special or unusual factors of this case which would have justified public authorities and their legal advisers in thinking, were disclosure in this case to be directed, that they would not be at risk, in the broad generality of cases, of having to disclose communications seeking or giving legal advice. Leaving aside general considerations about the desirability of upholding LPP, one wonders whether the facts of the case come anywhere near establishing that disclosure “would” harm the interests of justice. Say, the case had gone to judicial review or statutory challenge, and WR had produced the, apparently, scanty advice underlying PINS’ stance. What then? If PINS has a rubbish case, then it deserves to have lost. If it had a good case, but weak legal advice, it is difficult to see how the former can have been affected by the latter. Quite how any of this would have been affected by general weakening in the confidence of LPP, is unclear. That all said, the UTT decided that the factors in favour of disclosure were relatively weak: the presumption in favour of disclosure was rebutted. The fact is, that the strong grounds for upholding LPP generally, which have been repeatedly invoked by the highest courts in the UK in defence of the subject, were now being used to interpret a provision which was not in all truth drafted so as to align with those general policy considerations. The UTT did not decide that every privilege case would automatically engage regulation 12(5)(b); but they also doubted whether regulation 12(5)(b) could be confined to cases where there was a threat of litigation. In summary, the UTT appear to have been paying lip service to the specific statutory regime in deference to the wider policy issues in play. Whether the European Court of Justice would agree is questionable, not least because the rules about privilege for in-house legal advice are somewhat variable over the EU.